Hello, my name is Gordon Atwell, I have been a licensed Home Inspection since 2008 and I want to help you make one of the most important purchases of your life. In addition to the professional home inspection training, certification, and experience I have, I grew up in a construction household as the son and grandson of carpenters. I graduated from B.R. Vo Tech in Air Conditioning and Refrigeration and worked in that industry. I have been involved with commercial and residential construction and repair for much of my life. Not only do I understand what is important I can recognize explain it in my report. I can also give you valuable input about repair, maintenance and safety issues involving a home or commercial building. If you want to come to the inspection, I will take time to show and explain every issue that arises, and will answer all your questions and concerns. Whether you are present at the inspection or not, you will get an easy to read the report with lots of color photos, usually within 24 hours of your inspection. You can get a copy of your report sent to anywhere in the world at your request. I have flexible scheduling to accommodate you and I am even available on weekends. Precision and Integrity Guaranteed. A good name is more valuable than great riches. 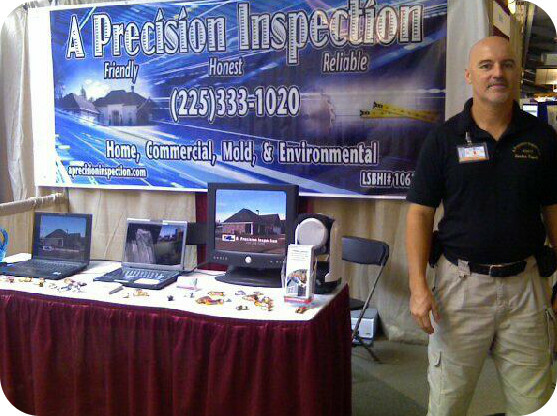 CALL NOW 225-333-1020 to schedule your home inspection.